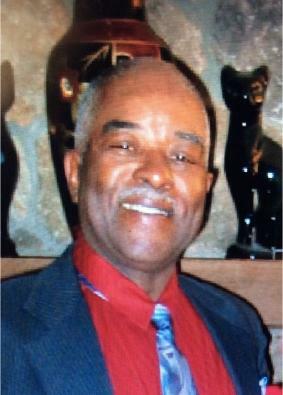 Alford “Prince” King, 76, of South Bend, passed away in his home, surrounded by family, after his long fight with cancer. He will be deeply missed by his loving wife, of 54 years, Lucy A. King; two daughters, Inger J. King of Atlanta, GA and Vicki L.King of Indianapolis, IN. Four granddaughters, Ilana J. King and Ilia J. King of Atlanta, GA and Asli N. Strong-King and Zoie N.S. King of Indianapolis, IN. Two surviving sisters, Barbara J. Cole (Willie) and Linda K. Richie (Rick), all of South Bend, IN. Remaining uncle, Sam Dickens, of Mishawaka IN and a special cousin/sister, Margurite Bonner Pinson of Oxford, MS.
Alford was born in Oxford, MS and moved to South Bend, IN with his wife Lucy, after being a member in the US Army. In South Bend, he worked for Clark Equipment, received his Associate Degree from Ivy Tech and ran his own business, King’s Auto. He later went on to work at AutoZone and was known as a Master Mechanic. Services for Mr. King will be held on Saturday, August 25, 2018 at 12 PM with a viewing on hour prior at Bethlehem Missionary Baptist Church.